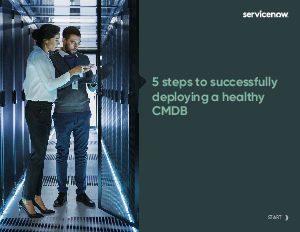 A healthy CMDB is a critical tool for maintaining high service availability, helping to prevent service outages and fix them faster when they occur. Get a detailed roadmap for successfully deploying your CMDB with this guide. Get started on the road to improved business service health today.